“There’s a clamp in my womb it feels like,” said Fabian Trueblood’s very pregnant wife. Last week it was a swish. Last night it was a whoosh. Today it’s a clamp. Fab had had it. What was going on in his wife’s belly? While the doctor explained that although X-rays were low risk and as a precautionary measure, it was best to postpone unnecessary X-rays until after the birth, Fab smiled wearily out the hospital room window at one of downtown Toronto’s busiest streets. Two kids had just taken a flyer on the January ice and the snow accumulation had increased five centimeters since their arrival an hour ago. He was going nowhere tonight. Fab knew his wife was scared. He was too, for different reasons, reasons that had nothing at all to do with pre-delivery scarries or womb-clamp pain. Since submitting their Trait Inventory papers to the geneticist nine months ago, he’d been having mind-pain; not intensifying migraines—another kind. Fab called them mind-monsters and they had several faces: fear, guilt, and accusation, to name a few. The one he most hated was the accusation monster, who, at the end and beginning of every day, berated him for firing God. “Yes,” he said, annoying Aleen with his dreamy vagueness. “We told Dr. Locke about it some months ago.” That was when Dr. Locke assured them, truth be told, that no child from Designer Baby ever but ever ended up in that place, that town. Dr. Wentz started flipping through their inventory chart, stopping to tap his finger on the blue sheet. Fab well remembered the Blue Sheet. “I see that Dr. Locke was the insertion geneticist who worked primarily on your babycell? Fabian and Aleen Trueblood nodded. Fab hated to admit it, but that was his input. Aleen propped herself up against the pillows. “There is not enough joy in this world,” she said, punctuating every word. “And the clamping?” Fab asked. While a fifteen-centimeter mix of snow and freezing rain pelted the ground like frozen, flying bullets, Aleen screamed and panted her way through eight hours of childbirth. And at 6:06 a.m. on January 25th, 2040, little Gladwin Trueblood entered the world, first with a cry and then with a yawn, then a bigger yawn, followed by several more. He was certainly a laid-back infant and seemed healthy in all respects, had all his organs, fingers and toes in the right place. Maybe Fab could have some peace now. Still he needed the shot. Rather than hand out cigars following the birth of his firstborn, designer-celled son, the first thing Fabian Trueblood did was self-administer a shot of Fiorinal for his worsening migraine. Why was his infant son so tired? Why all the yawning? He’d seen newborns before and they never yawned that much. Mind monsters. Soul monsters. Gut monsters. At six weeks, Gladwin was all smiles, but still yawning. At three months he squealed happily away as the yawns grew wider, at times almost locking that tender little jaw, most noticeably when Aleen twirled the zoo mobile above his crib. Fab was up to two Fiorinal shots a week for the migraines and Aleen couldn’t seem to stop that incessant nervous giggling. Their worries intensified later that very evening. At three a.m. Aleen’s fingernails stabbed into his bicep as a high-pitched mono-syllabic squeal emanating from the nursery accosted their senses, crashed into the night, the neighborhood and their world. 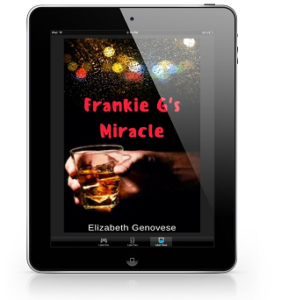 Fab charged into Designer Baby’s emergency entrance with little squealing Gladwin slung over his shoulder, certain that life as they knew it, was over–just like that. His son’s shrill crowing stopped people cold in their tracks. A man spilled coffee down the front of his shirt. A startled medic crashed into a wall with a food cart. A nurse dodged the two emergency doctors who rushed at them with a gurney and three attending physicians. “Nothing in his ears,” Fab said, collapsing against a wall. Happy boy. That sure is right. Yeah. He’s our happy boy. As his tears welled, he wondered again why and how it was that an atheist should feel guilt for firing a deity he didn’t believe in. The ‘drugmobile’ tore through their little dystopia every day at 5:30, always prompt, always anxious to be elsewhere as soon as possible. The aides would not administer parental sedatives without the green sheet and medical card. Normally not. Each parent required the government stamp of approval. Not in Ribble, at least not from a body with obscured vision. Besides, a little extra sedation given here and there to these poor unfortunates speeded up the process; get in, get out and go home. These people were tough on the eyes and every day they seemed a little bit edgier, a little bit crazier. Each night in the wee small hours, Fab awakened to the child’s ritual across the street. Clad in grimy Winnie The Pooh pajamas, she would come out on her porch and loudly count: 1,2,3,4…1,2,3,4…1,2,3,4! This continued until she fell asleep on the porch around seven a.m. A ten-year-old boy wore his brain on the outside, like half a helmet. A seven-year-old girl had hands for feet and feet for hands. Three doors down from the Trueblood home, another poor kid had some century-old tune stuck in his head, something bizarre titled In-A-Gadda-Da-Vida by this ancient band called Iron Butterfly. Then one day he stopped singing and the police showed up. The ‘In-A-Gadda-boy’ as the Riblian townsfolk referred to him, was missing. Children often went missing in Ribble with disappearances increasing in alarming numbers, as were parent suicides. Because of the constant surveillance, investigations, questions and digging, the townies knew the first name of every cop on the Benchley Ontario Police Department. And sirens blared. Always, always sirens blared. Fab turned off the air-conditioner and cranked their bedroom window open. Aleen was in her nightly drug-induced sleep of the dead, though probably not for much longer. It was nearing five a.m. and Gladwin would soon awaken. He looked across the street at the porch-slumbering child and then over to the house beside it. Their child barked eight hours a day, and the twin girls that lived next to that house spoke three languages–at once. Two-year-old Gladwin Trueblood had something on the others, though. He was joy-filled, as his mother had prioritized. He knew how to laugh straight from the gut. Gladwin is our happy boy. The Trueblood’s learned that it was never a yawn or a whoosh in the womb, or a locked jaw, or even a squeal. It was laughter. Mono-syllabic laughter. One piercing, continuous, mono-syllabic laugh. Fab’s insides clamped and Aleen awakened with a jolt, already sweating. Like vines up a rotting oak, cancerous thoughts crept into Fabian Trueblood’s mind. Maybe his son would fall back to sleep and awaken a little less happy. Or a lot less alive.